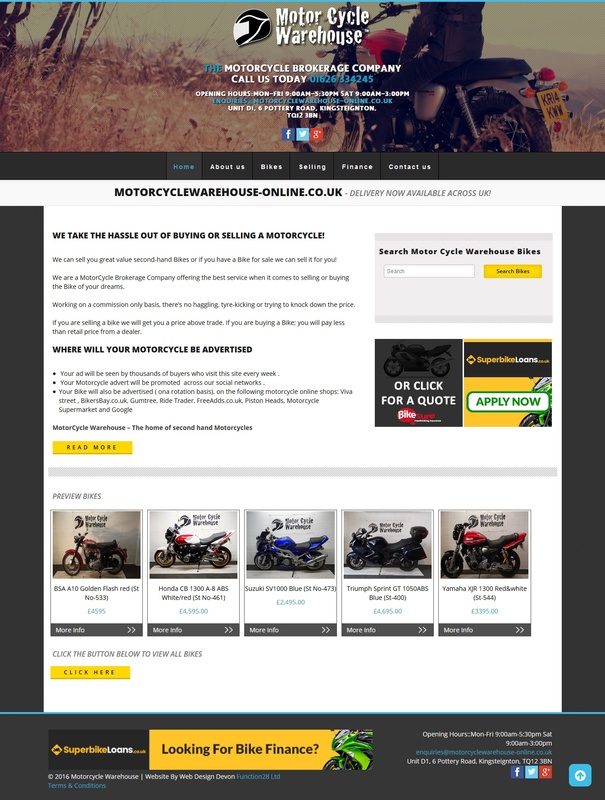 Function28 were hired to design a responsive catalogue website for Motorcycle Warehouse. The project had to be built in a way that offered front-end users easy usability but also made it possible for Motorcycle Warehouse staff to keep the site up to date themselves.The website enables visitors to display the catalogue entries in a couple of different views. It shows featured products on the home page, a product gallery for each product, and a contact inquiry forms. The design works great on all devices and has been received really positively by the public.